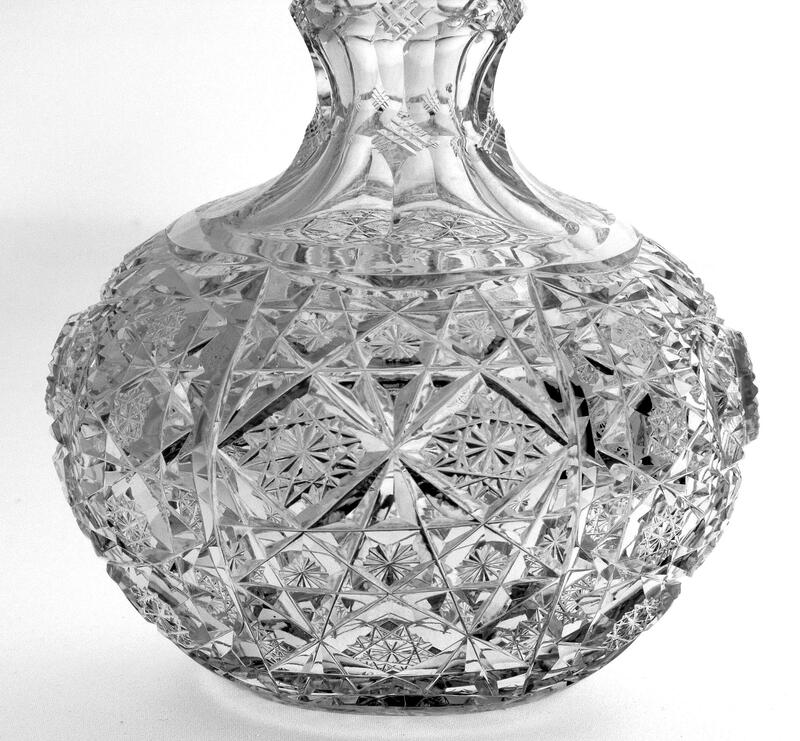 L. Straus & Sons of New York, NY was one our finest cutting houses during the American Brilliant Period (1875-1915). They are known for the quality of their blanks, their well-conceived designs and their attractive and unusual shapes. 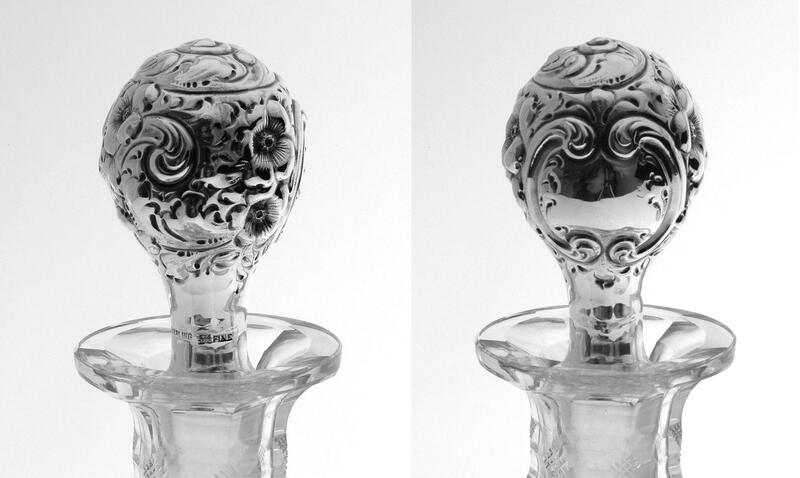 We are offering, from our personal collection, a double-gooseneck decanter with matching sterling silver stopper. 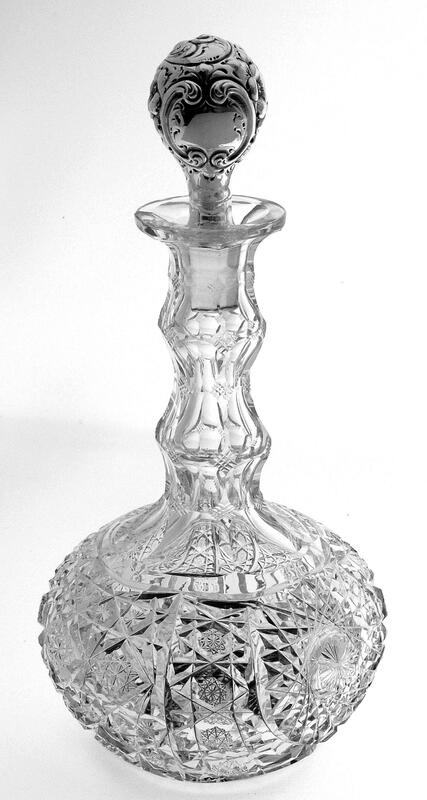 The decanter stands 12-inches tall with the stopper and has a maximum diameter of 6-inches; the sterling stopper has a trademark that appears to be that of the Mauser Manufacturing Co. of New York, NY. 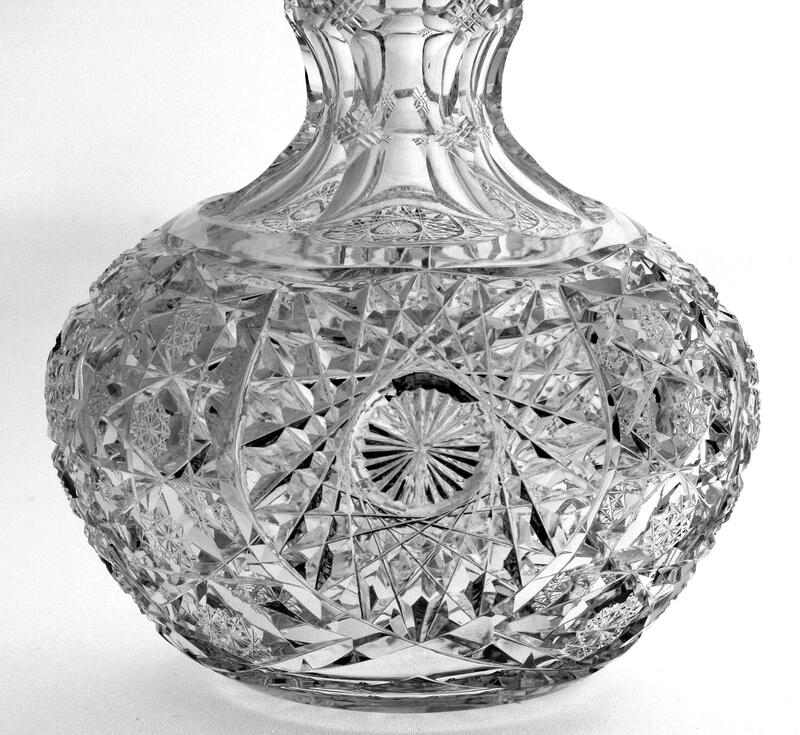 The decanter is cut in the “Kenilworth” design; the second ACGA Straus catalog shows the design in two 1901 trade ads. 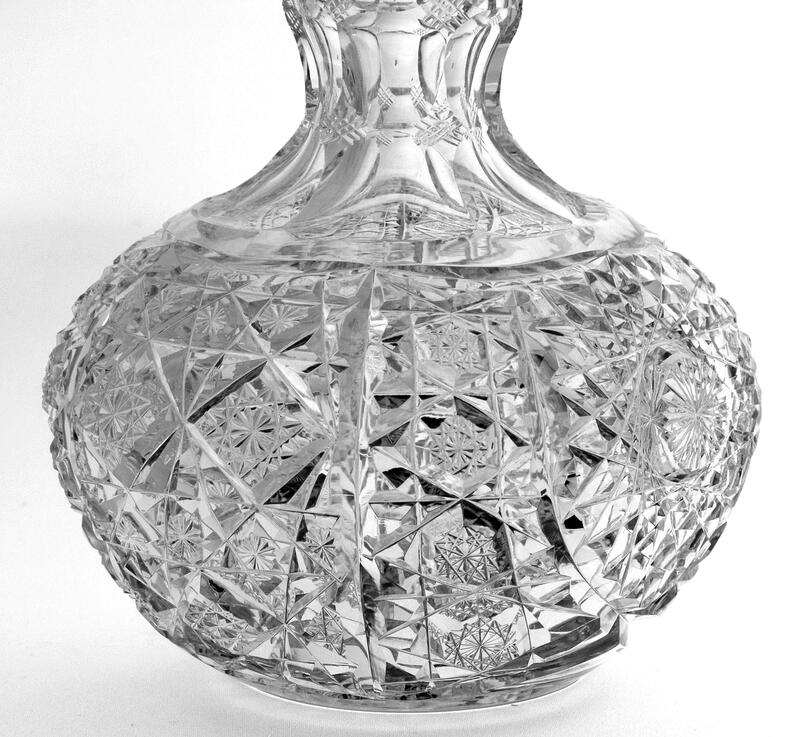 The decanter has no internal discoloration or residue and is in better than extremely fine condition.